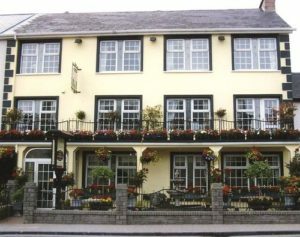 Clooneen House is a three star modern purpose built family run Guest House, established in 1969, situated in the centre of the beautiful heritage town of Westport, equipped with all modern conveniences. 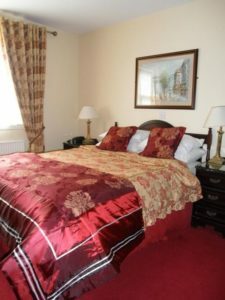 Each room has tea making facilities, TV, iron board, hair driers, direct phone line and Wi-Fi. All rooms are ensuite. 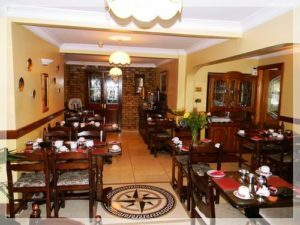 Relax in our cosy guest lounge which has free Internet, TV and tea making facilities are available. We have Double rooms, Family rooms, Twin rooms, and Single rooms available to guests. Breakfast is served from 8.30am to 10am daily. It is located next door to Castlecourt and Plaza Hotels. 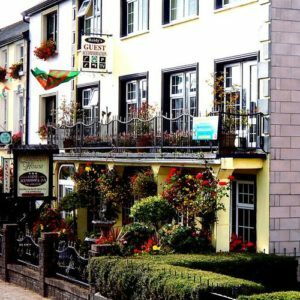 Clooneen House is the perfect guest house for Wedding guest, weekend breaks and mid-week breaks. Ideally suited for touring Connemara, Clare Island and Achill. Escape the bustle of urban life on the multi-award-winning Westport to Achill Great Western Greenway, the longest off-road walking and cycling trail in Ireland. Croagh Patrick is one of the main attraction of Westport, no matter what kind of activity you enjoy from fishing to golf, horse riding to cycling, there’s tons to do in Westport. And, afterwards, there are a selection of leisure centres and spas to relax and unwind in before hitting the town for some food and nightlife. Guests get a discount at the Castlecourt Hotel Leisure Centre which offers a truly spectacular 20 metre Swimming Pool, Kiddies Splash pool, Sauna, Steam Room, Jacuzzi and a fully equipped and modern Gymnasium.